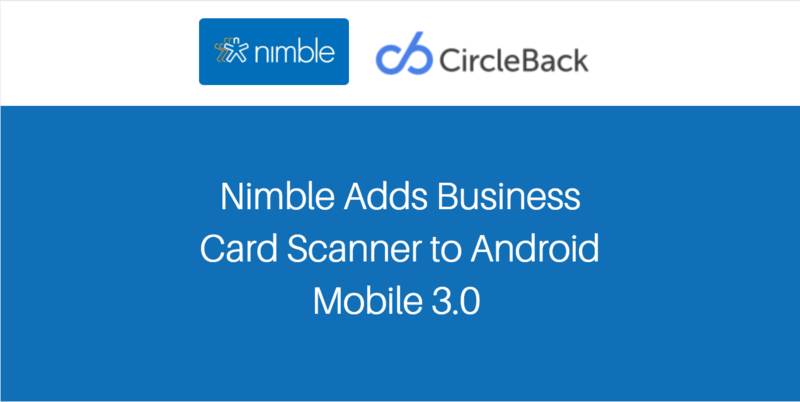 We’re excited to announce that our mobile business card scanner, powered by CircleBack, is now available on Nimble Mobile 3.0 for Android! With this latest update, you’ll be able to ditch the stack of business cards building up in your wallet and create new contacts in Nimble by taking a simple picture. Open your Nimble app and take a picture of the business card you wish to scan. 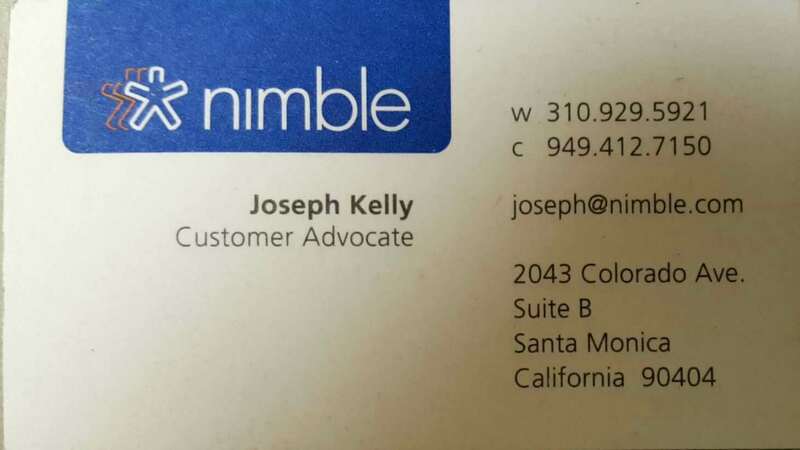 From there, Nimble will build a detailed contact record with the person’s name, title, company, email, address, and phone number. 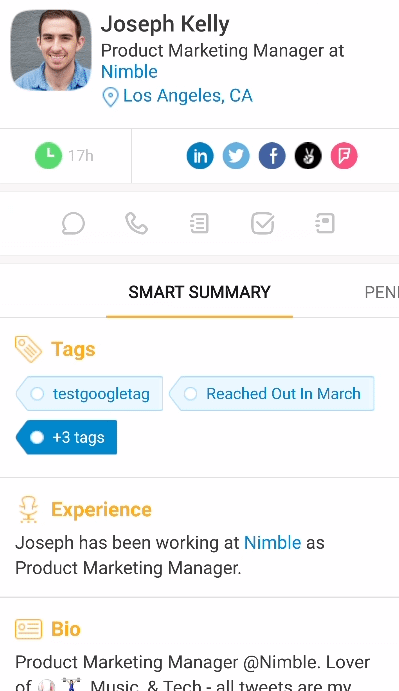 Snap a photo of a card and Nimble will add this information to a contact record, and then enrich the record with additional social profile details. While business cards contain basic contact details, Nimble will also add additional contact and company details to your new contact record, such as social profile links, work history, interests, and social links for their company. Note the additional social profile details, social bio, and work experience history that Nimble added from my social profiles. Now that you’ve created a new record, it’s time to walk in your contact’s digital footprint via the social insights discovered by Nimble. With this information, you’re ready to reach out to your contact with all the information you’ll need to write a compelling and personalized outreach that will generate a more successful relationship. Our business card scanner for Nimble Mobile 3.0 is available on Android and iOS today! 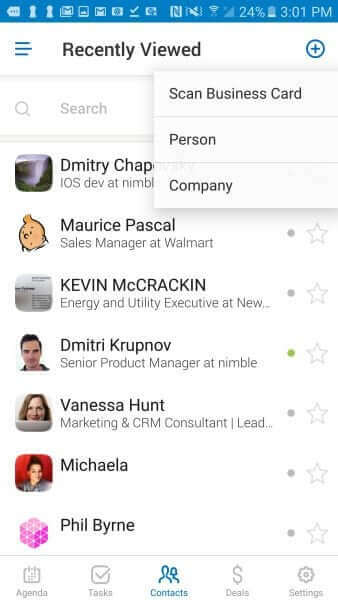 If you already have a Nimble account, download Nimble Mobile CRM 3.0 from Google Play or iTunes, and you’re ready to go!